An expedition is more than just a trip, it’s a journey undertaken for purpose of exploration. 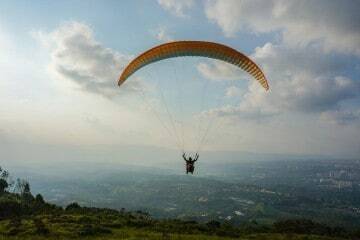 It’s a way to experience the world in a new way and challenge yourself in doing so. 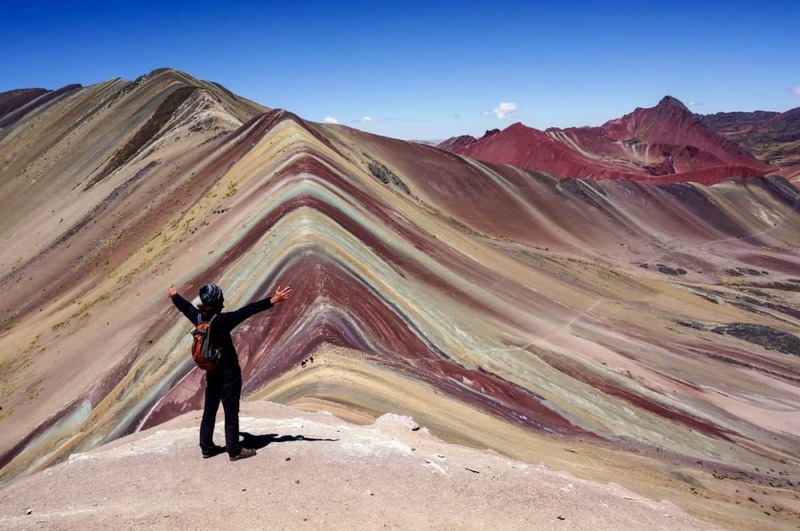 South America is a continent that has no shortage of adventure. It’s home to some of the world’s highest peaks, raging rivers, and fascinating animals. Here are 10 expeditions that will leave you dreaming of a journey to South America. 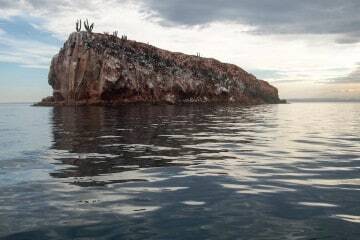 The Peninsula Valdes is a protected nature reserve and UNESCO World Heritage Site teeming with wildlife. The lagoons here are the calving ground for the Southern Right Whale. During the day, paddle next to these gentle giants as they surface and blow right in front of your kayak. At night, camp on secluded beaches and enjoy the natural beauty of this corner of Patagonia. Who to go with? 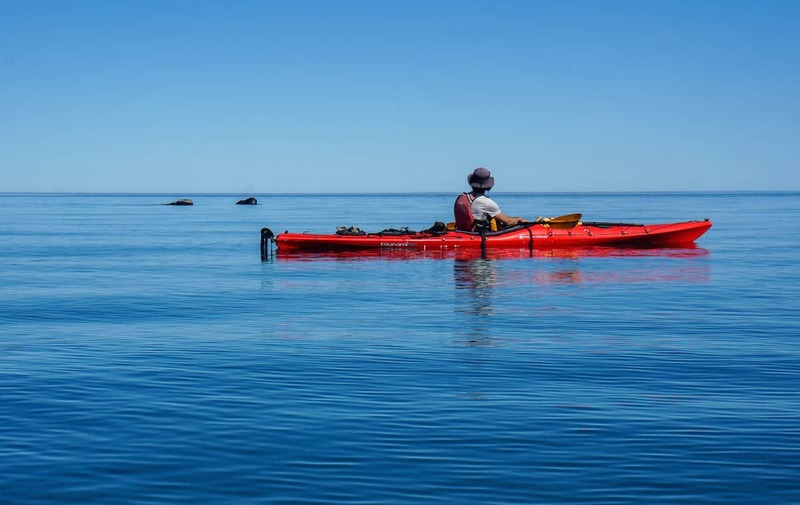 Sea Kayak Adventures offer a 7 day tour which includes camping at a secluded beach at the center of whale activity that is also a research area for a local whale conservation organization. When to go? These right whales begin to arrive in mid-September and return southward in mid-December. These three months host incredible sightings of right whale acrobatics, adorable baby antics, and many of other other interesting creatures. During this time frame it’s spring in the southern hemisphere and the lagoon is a sheltered and protected, making it a great spot for kayaking. Hike from tambo (andean lodge) to tambo all while soaking in the intense natural beauty this trek has to offer. Without a doubt, the Ausangate Trek offers some of the most wonderful scenery in the whole of the Cusco area. Who to go with? Andean Lodges offer a variety of treks to it’s tambos within the region depending on your needs and interest. On their mission to deliver an unforgettable mountain hiking and lodging experience, they are generating sustainable development in the altitude communities of Chillca and Osefina. When to go? Trekking in the Peruvian Andes is at its best during the dry season, June – September. La Ruta de Las Lagunas (Lagunas Route) is a dirt road that takes you through the lake region in Southwest Bolivia. It runs 418 km (260 miles) between Uyuni and San Pedro de Atacama, Chile. The classic route for cyclists is to head north from Laguna Colorada, past Arbol de Piedra and from there north to Laguna Hedionda, San Juan and the Salar de Uyuni. 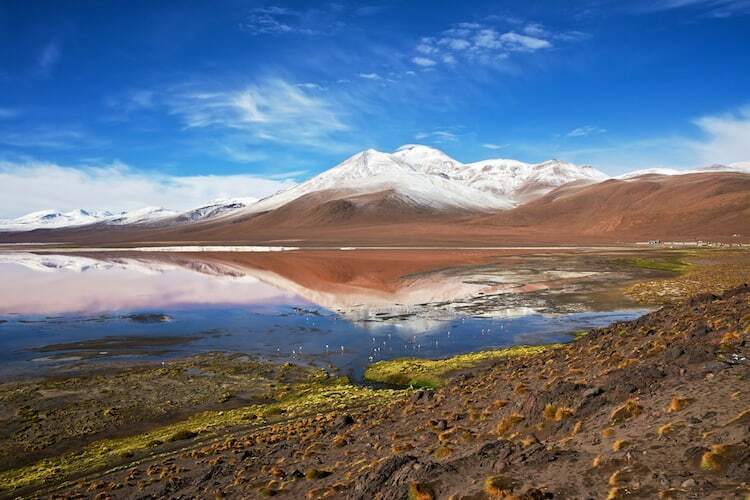 The landscapes on this 4000m altiplano seem out of this world with towering volcanoes, lagunas with bright green, red or blue coloured water, salt lakes and flamingos. If you are planning a bicycle tour to South America, be sure to check our cycling bucket list and add this one to it. Who to go with? You, your bike and the open road. Maybe a good friend or two. When to go? It’s best to take on this challenging ride during the dry season. The rainy season turns the dirt roads to mud roads quickly. 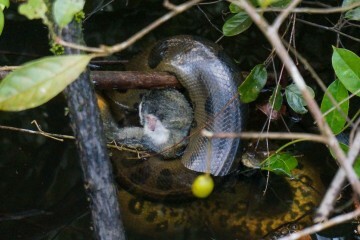 Have you ever dreamed of being a jungle explorer? This is your chance to paddle down a rainforest river in a kayak with only the sound of bird calls and rustling of troops of monkeys in the treetops overhead to break the silence. Who to go with? 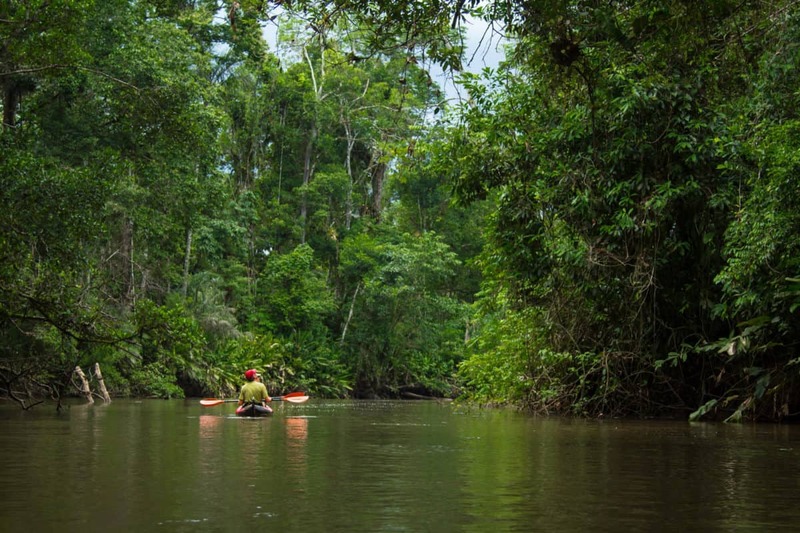 Tofino expeditions offers a 10 days trip down the river systems of the Ecuadorian Amazon around the Yasuni National Park in expedition sea kayaks. You’ll end each day of paddling by staying at a luxury eco lodge. When to go? November – January & April – May. Are you fascinated by the rich wildlife or the beauty of the unspoilt natural environment of Antarctica? If so, this trip is for you. Set sail and travel to the last great wilderness on Earth. You will navigate between iceberg and Albatrosses and petrels will accompany your boat on its way to the Antarctic paradise. While this expeditions isn’t in South America, we included it because Argentina is the closest jumping off point to the white continent. Who to go with? 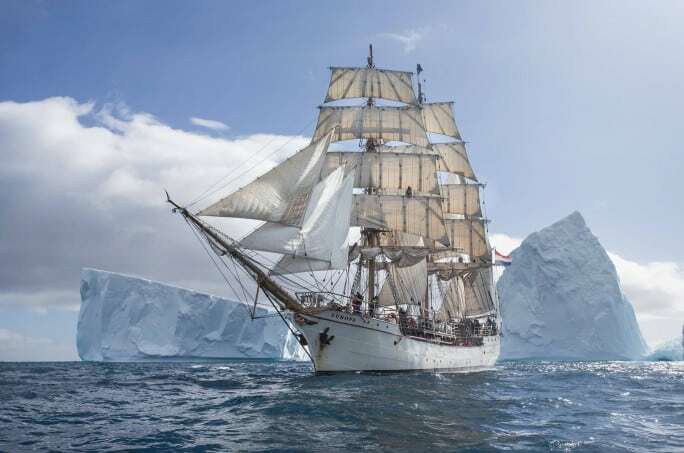 Bark Europa offers a variety of voyages to Antarctica aboard a tall ship. Once in Antarctic waters, the EUROPA will anchor in sheltered bays practically every day. The crew will take groups ashore in the dinghies to see glaciers, mosses and lichens, seals, birds and penguin rookeries. Ashore, visitors will often be welcomed by different kinds of penguins, such as the Gentoo, Chinstrap and Adelie penguins. When to go? December to March, when it is summertime in the southern hemisphere. Malpelo Island is known as the Mount Everest of Sharks for a good reason, it’s packed with them! Now where else in the world can you see so many sharks and big fish. Here, schools of hammerheads circle the island making it the perfect place to get up close and personal with them. 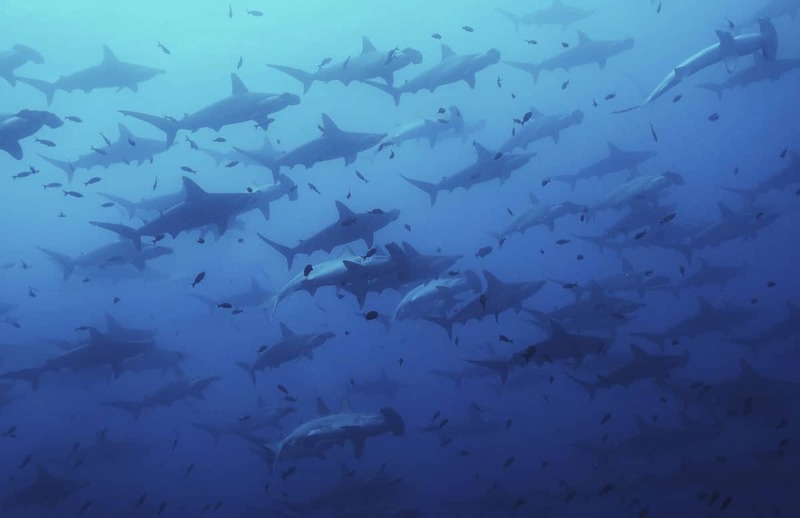 While the hammers are the main attraction, Galapagos and Silky sharks can also be seen. Whale sharks, mola mola and giant pacific manta rays are also often spotted here, making it the perfect place to work on your big ocean creature bucket list. Malpelo is over 500 km from the coast of Colombia, so divers must take a liveaboard boat to reach the island. Trips leave from Panama. Who to go with? Coiba Dive Expeditions offers 10 & 11 day trips to the island. When to go? In theory the best time for diving is between April and September, but Malpelo is very unpredictable so you can have great diving any time of the year. January-February is when the conditions are the toughest, the currents are strong and you can have rough seas also this is when the water is at it’s coldest (around 20°C). 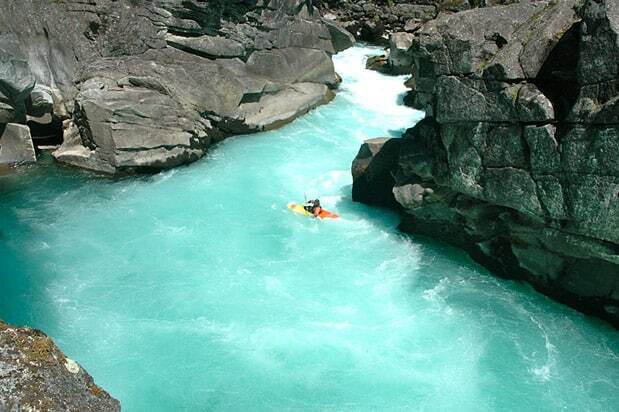 The Futaleufu, located in northern Patagonia in Chile, is without a doubt one of the world’s best rivers for white water kayak. There’s something for everyone on the Futaleufu, from strong beginners to professionals. If you don’t have experience, there are many places where you can take courses. Who to go with? Bio Bio Expeditions offers three diverse and exciting rivers in one fabulous trip: Rio Futaleufu, Rio Azul and Rio Espolon. Stay at their riverside camp and enjoy great food and world-famous Patagonia hospitality. Brazil’s Costa Verde, is a verdant swath of Atlantic rainforest bordered by warm aquamarine water protected from the open Atlantic by Ilha Grande, literally “the Big Island.” Steeped in history and rich with wildlife, this area includes the UNESCO World Heritage Site of Paraty and the Ecological Reserve of Juatinga and Cairucu. The calm waters and beautiful, lush tropical scenery make it a perfect place to paddle. Who to go with? Tofino Expeditions offers a 10 day expedition which departs from Paraty. 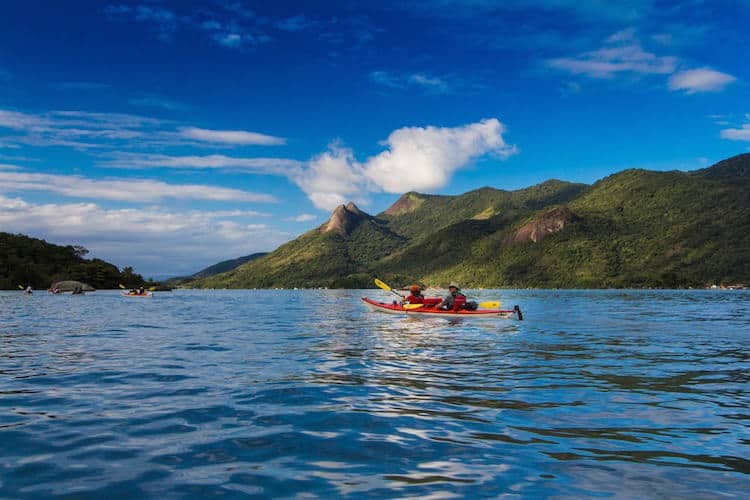 It’s the launch point for a boat supported kayaking journey that takes you to Saco de Mamanguá, Brazil’s tropical fjord, and along a stretch of tropical coastline dotted with tiny fishing villages, exquisite beaches and waterfall swimming holes. 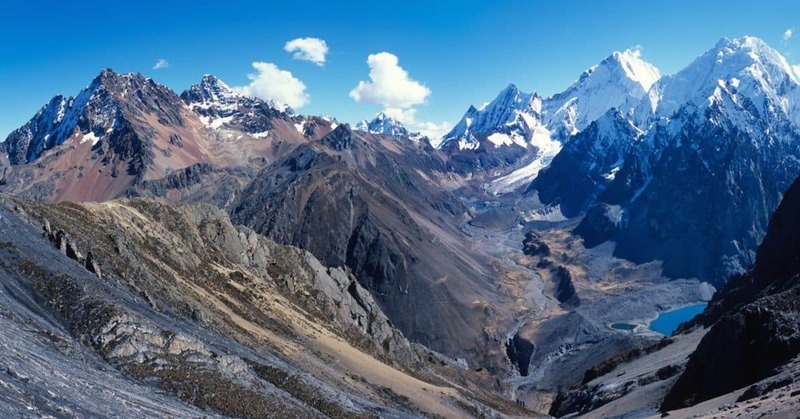 The Cordillera Huayhuash is one of the most spectacular ranges in the Peruvian Andes. Each day provides you with an ever-changing backdrop of soaring peaks including the distinctive needle-like peak of Jirishanca and the impressive summit of Yerupaja. This 8 to 11 days circuit takes you through alpine meadows and passed brilliant blue glacial lagoons in this unrivalled corner of the Andes. 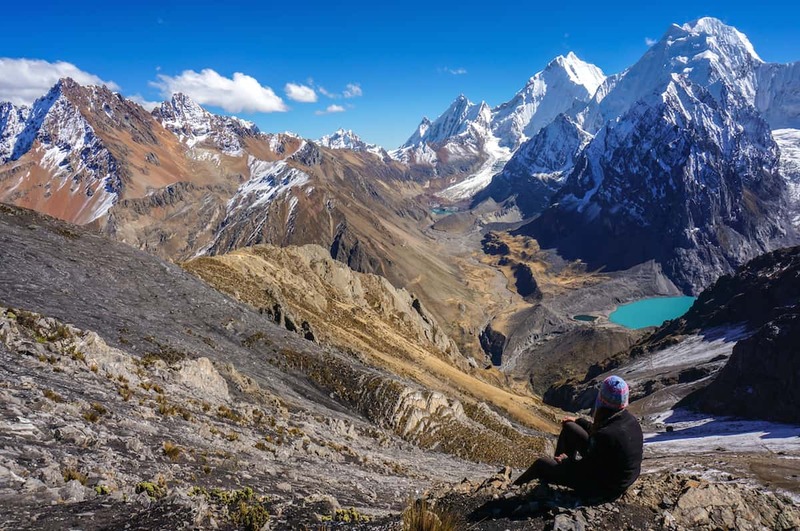 The Huayhuash Circuit is considered to be one of the most beautiful hikes in the world. Who to go with? Galaxia Expeditions offers a 10 day guide tour package. When to go? June to September. It’s no wonder Herman Melville called the Galapagos the “Enchanted Isles.” This archipelago off the coast of Ecuador is truly unique. If you are a nature lover, this is the place for you. There are many ways to visit the Galapagos, however paddling around these islands will enable you to experience this place like no other. 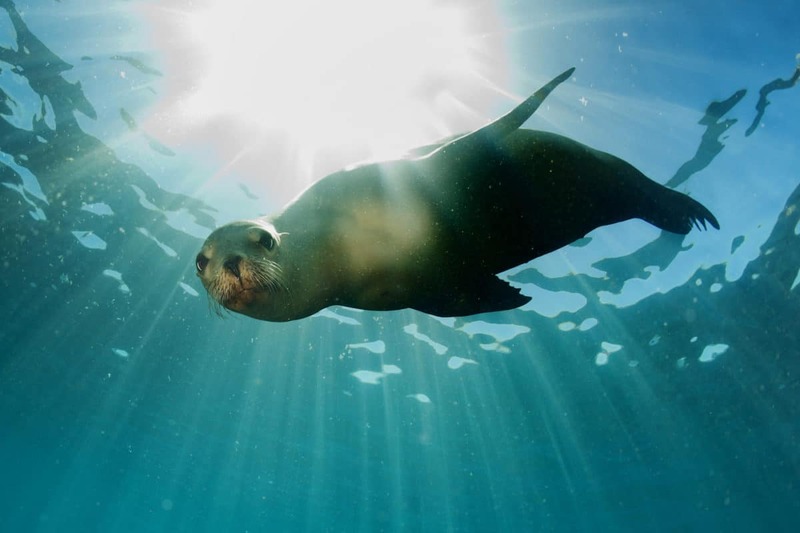 When you’re ready for a break, jump in the water and go for a snorkel with sea lions, sea turtles, dolphins and penguins. Who to go with? Natural Habitat offers a 10 days hiking & kayaking adventure. They have Galapagos kayaking permits which allows their groups to access remote corners of these islands that people on large cruise ships never get to see. Their deluxe catamaran provides comfortable accommodations. Each day you will explore a different island, either on foot or by kayak. When to go? Anytime of the year is a great time to visit Galapagos.